Sirte in July 2012. 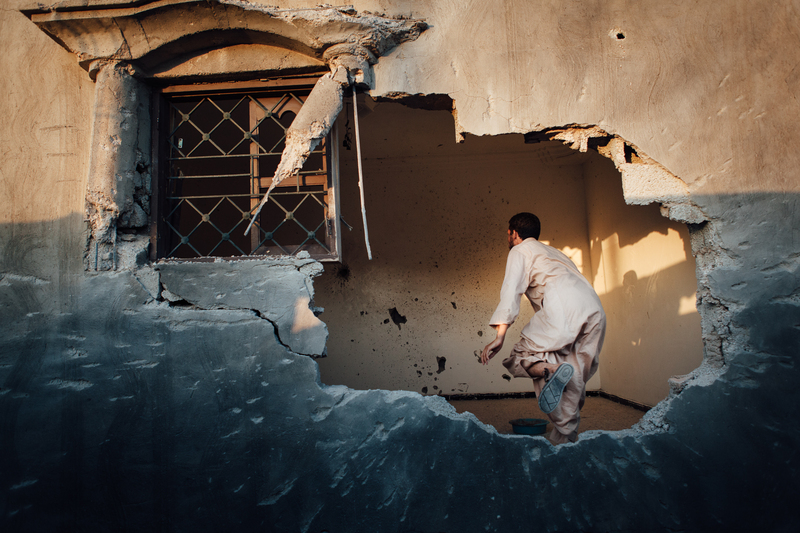 Walid, in the ruins of his house. 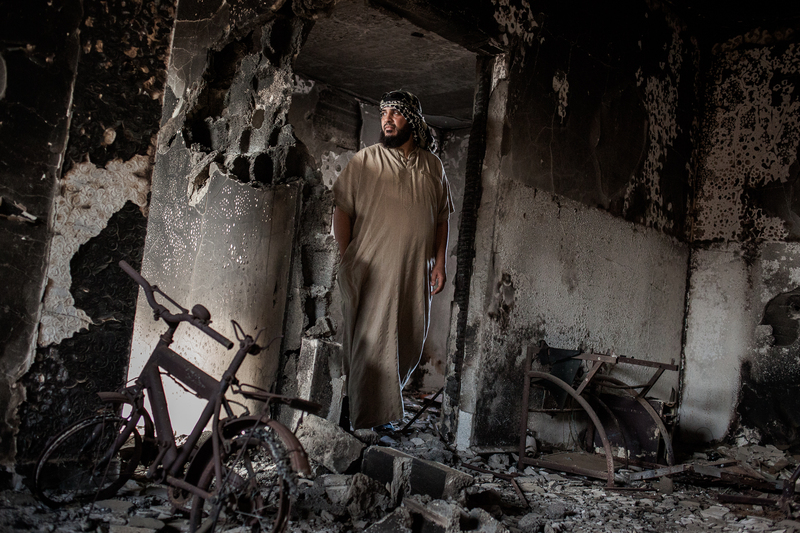 Sirte is the town of country that has suffered the most damage during the Libyan conflict. Tripoli, July 5, 2012. 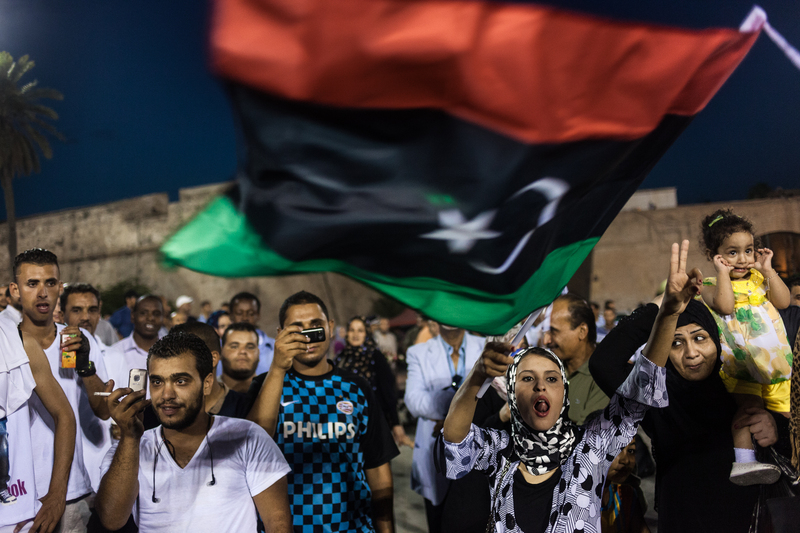 The Green Square in Tripoli, two days before the parliamentary elections in Libya. 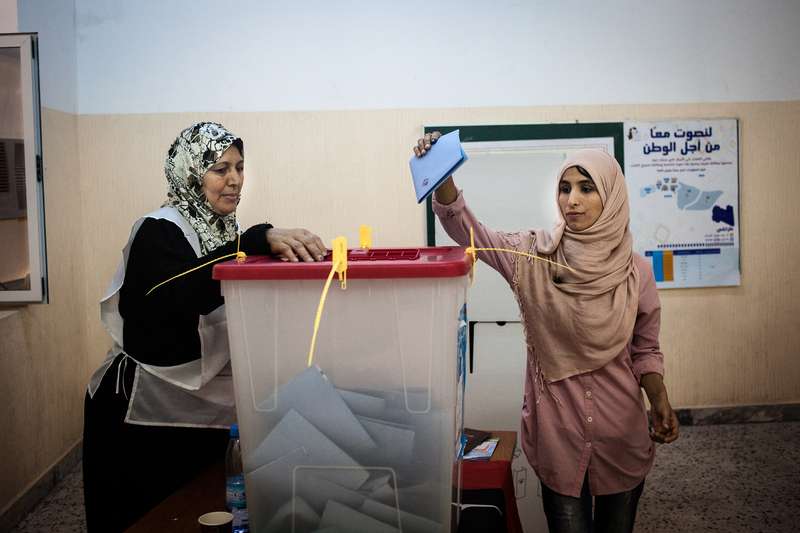 Tripoli, July 7, 2012, the polling station for women during the legislative elections. 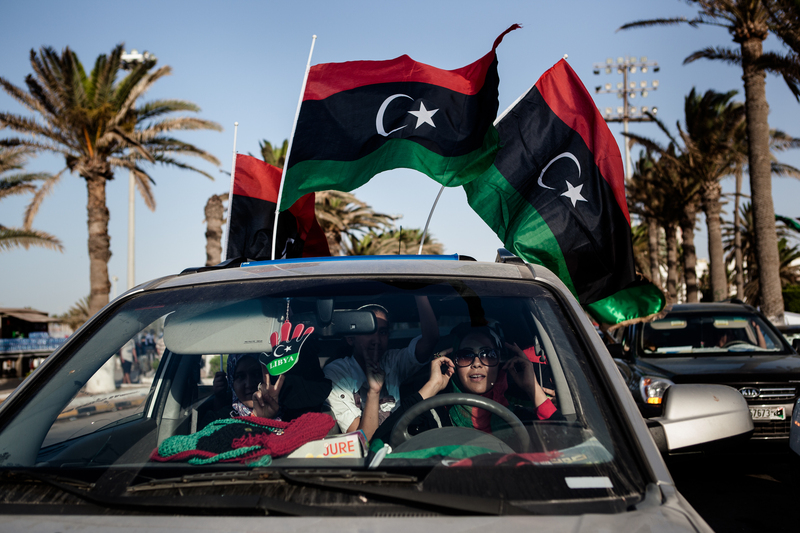 Tripoli, July 7, 2012, celebrations in Green Square in Tripoli for the first elections. 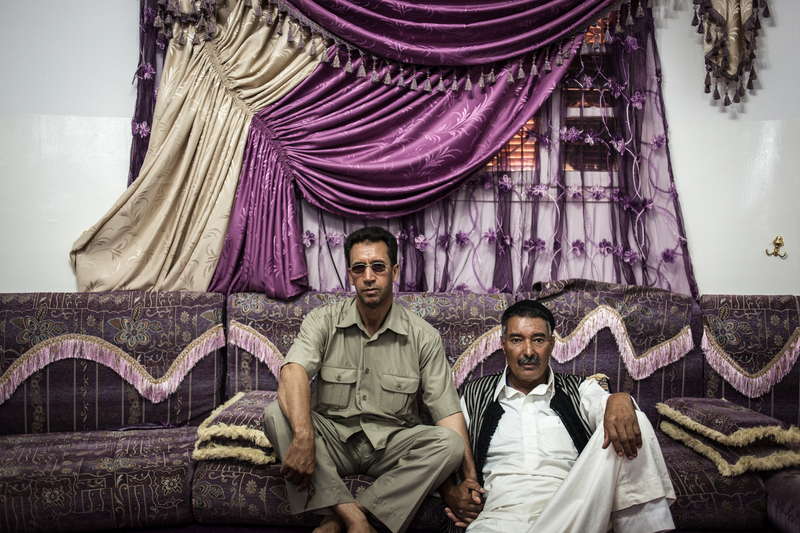 Misrata, June 29, 2012. 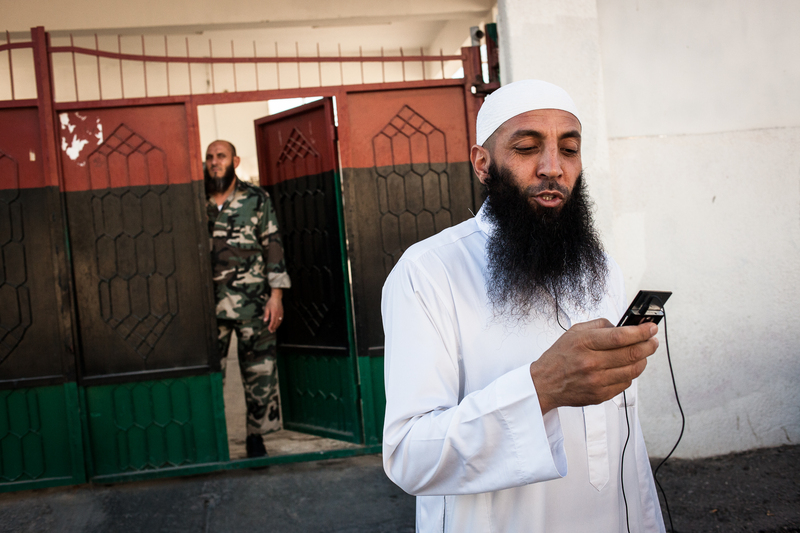 The director of the « rehabilitation center » (prison) in Misrata, outside the entrance. The prison receives former Gaddafi sympathizers, or assumed as such. 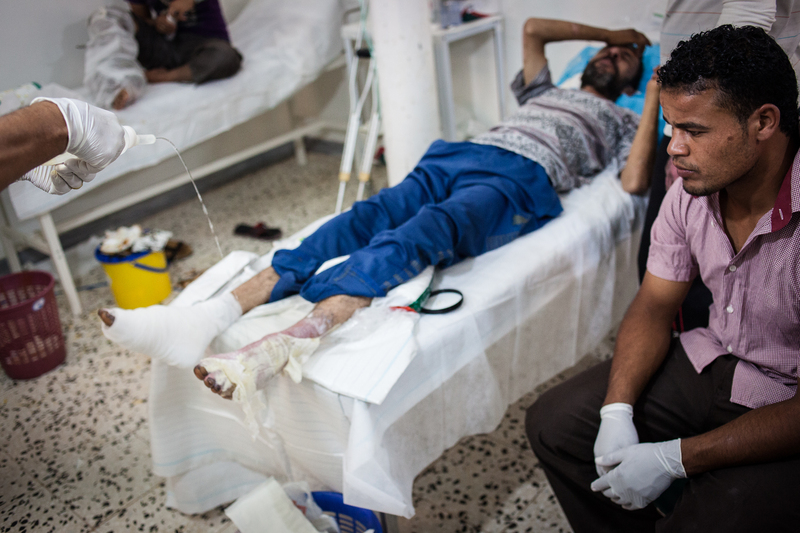 Misrata, June 29, 2012. 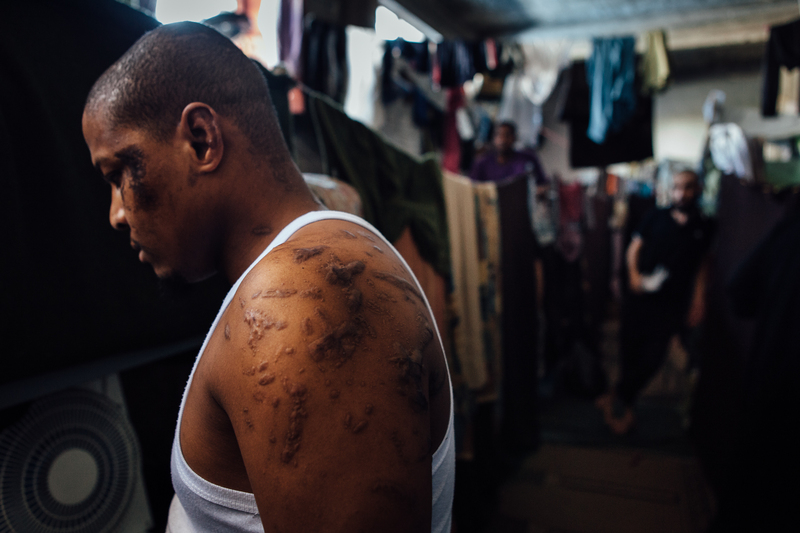 Member of the stigmatized community of Tawergha, Ezdine was extensively tortured with acid by ex rebeles before being transferred to a religious « rehabilitation center » (prison) in Misrata. 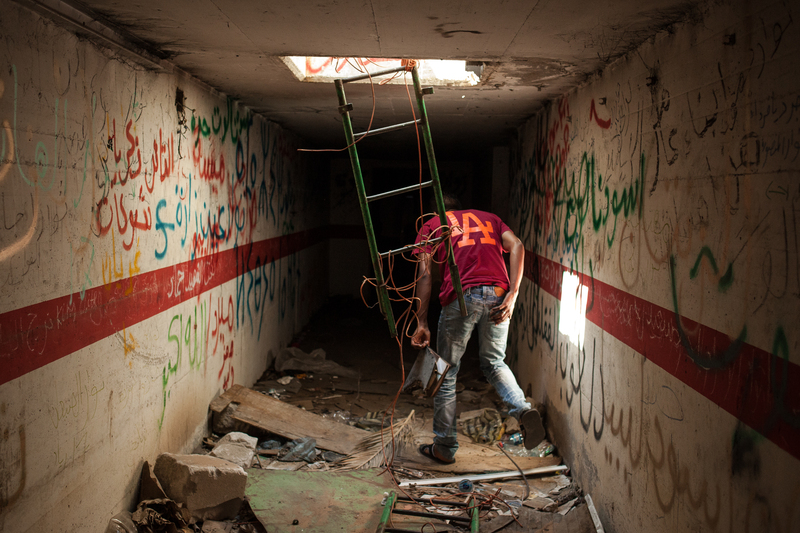 Misrata, June 29, 2012. 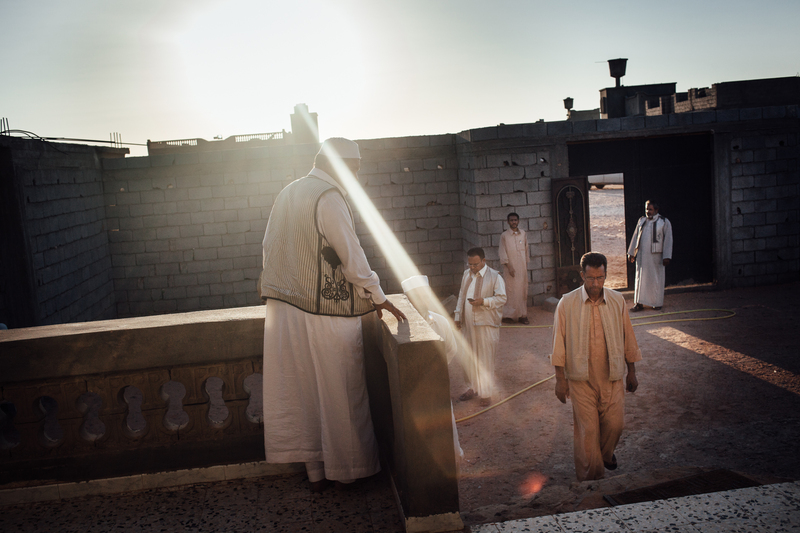 One of the dormitories of the religious « rehabilitation center » (prison) in Misrata, hosting former Gaddafi soldiers, or assumed as such. Tripoli, June 27, 2012. Bab al-Azizia, Gaddafi’s former stronghold in central Tripoli. 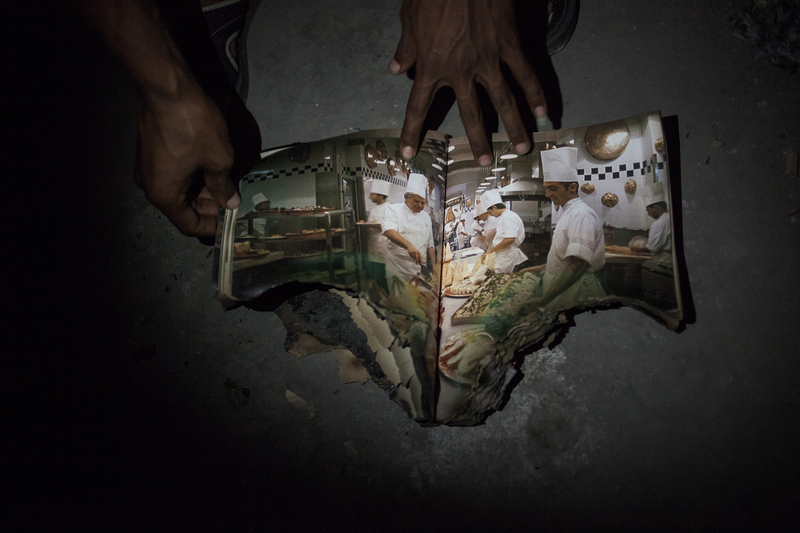 The ruins have become a mecca for prostitution and trafficking, as well as a dump. The majority of buildings have been destroyed by NATO bombing. 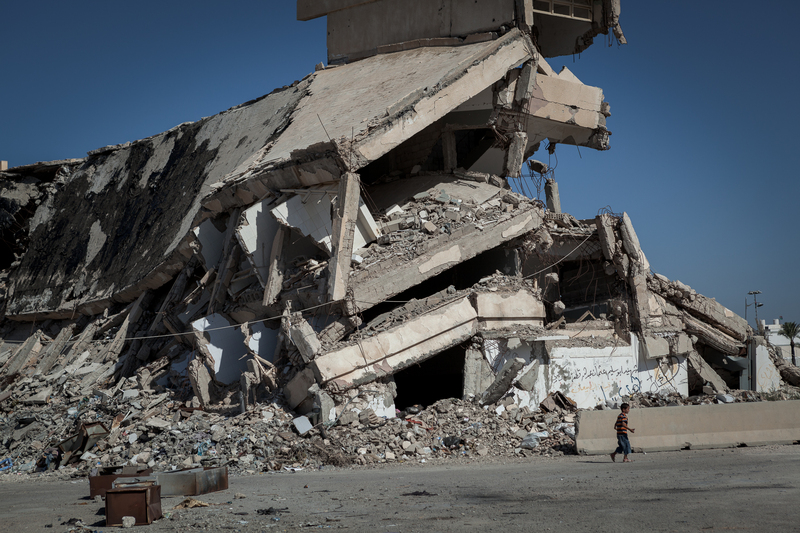 After the fall of the regime, the people of Tripoli continued systematic destruction of what remained standing. Tripoli, June 27, 2012. Bab al-Azizia, Gaddafi’s former stronghold in central Tripoli. 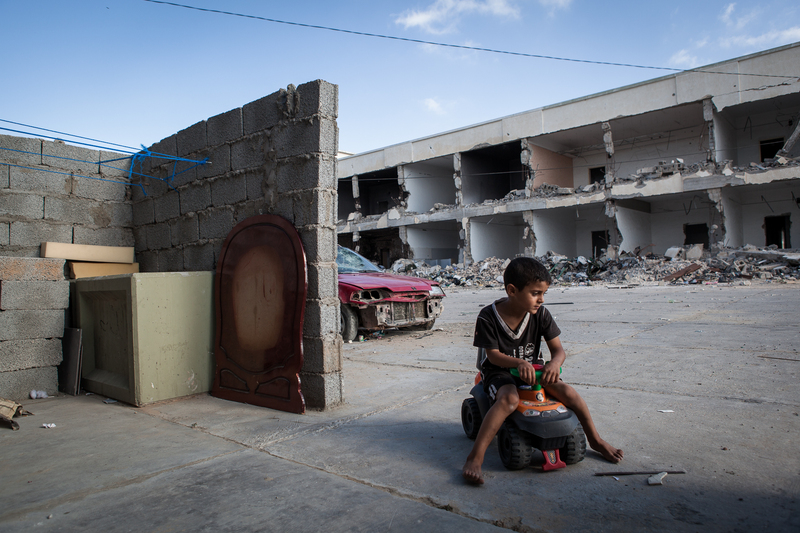 A child living in a building spared by the destruction of the complex, plays in the ruins. 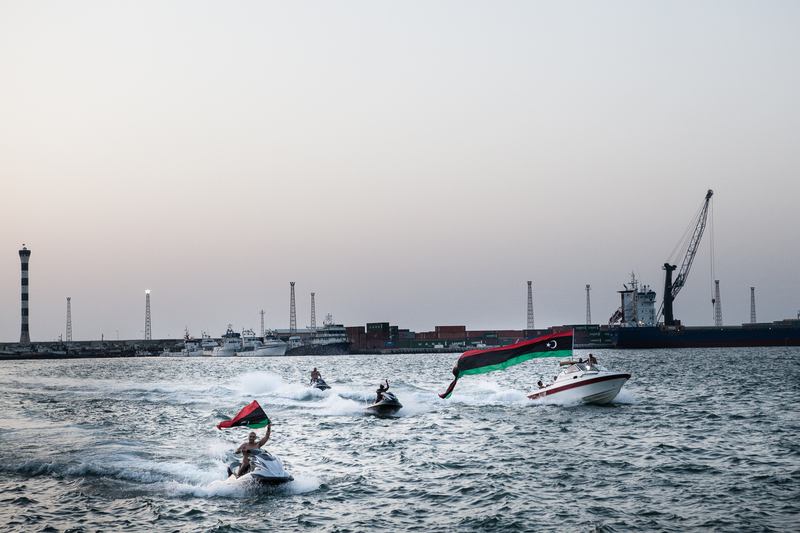 Tripoli, Libya, June 27, 2012. Bab al-Azizia, Gaddafi’s former stronghold in central Tripoli. In numerous tunnels of the complex, there are still remnants of the regime. Even after the systematic looting and destruction of many buildings, city residents continue to walk the labyrinth hoping to find souvenirs. Tripoli, Libya, June 27, 2012. Bab al-Azizia, Gaddafi’s former stronghold in central Tripoli. In numerous tunnels of the complex, there are still remnants of the regime. Even after the systematic looting and destruction of many buildings. Tripoli, June 27, 2012. Bab al-Azizia, Gaddafi’s former stronghold in central Tripoli. Poor families occupy the ruins of the fortress, which has since become a mecca for traffic (drugs, alcohol, prostitution …). 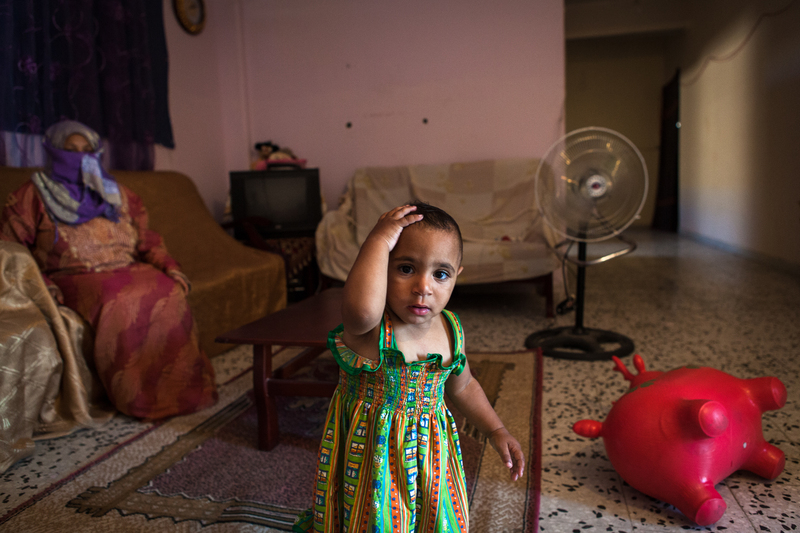 The woman whose husband is often absent, must take care of her disabled daughter alone. One night she came out the door to ask prostitutes to go further and stop the hustler. 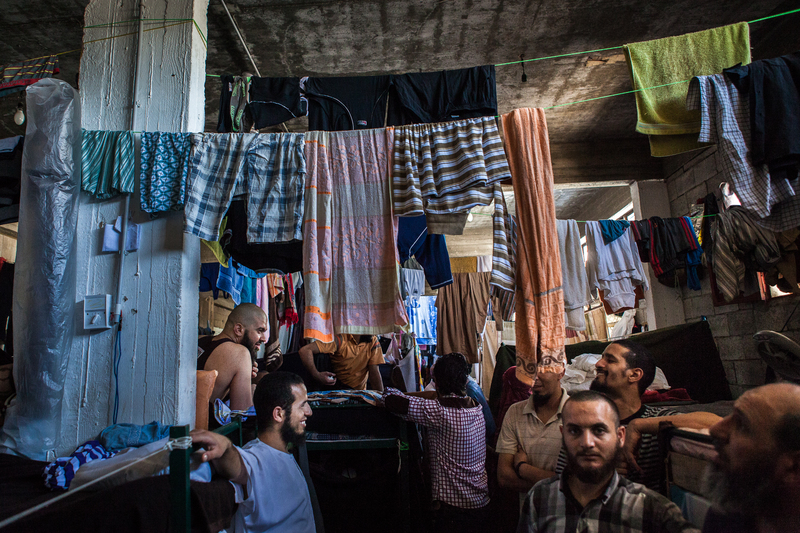 The same night, the facade of their « apartment » was shot by the militia organizing traffic in the complex. Face of threats, she is willing to fight to protect her family. Road between Cheguiga and Zenten. 1st July 2012. Originally from Zenten, this refugee fleeing the city of Machachia, saying that its inhabitants have burned his house in retaliation for attacks lead by Zenten brigades. Moktar, one of Zenten’s Warlords. Cheguiga, July 2012. In the ruins of civilian neighborhoods recently bombed by Zenten brigades. Members of the Machachia tribes are still accused by Zenten Brigades to be loyal to the Gaddafi regime. Cheguiga, July 2012. 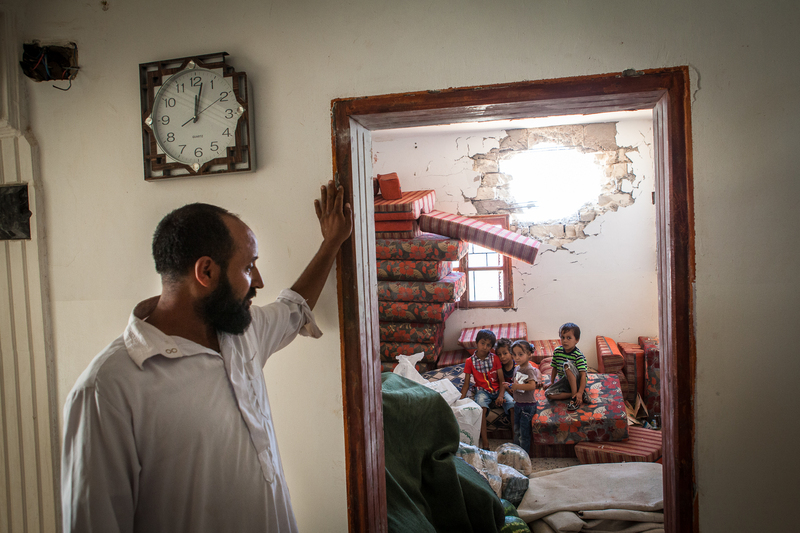 A father and children in the ruins of civilian neighborhoods recently bombed by Zenten brigades. Members of the Machachia tribes are still accused by Zenten Brigades to be loyal to the Gaddafi regime. Cheguiga, Libya, 1st July 2012. Various Machachia tribal leaders meet to discuss the conflict that opposes the Zenten brigade, who accuses them still to be loyal to the regime of Muammar Gaddafi, a year after the fall of the dictator. Cheguiga, July 2012. In a poorly equipped hospital, victims of bombing in Cheguiga City are cared for by nurses (no doctor on site). 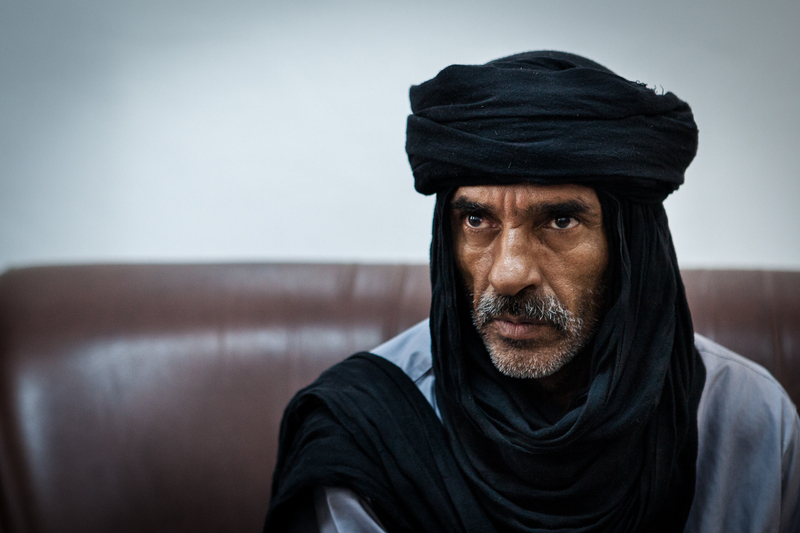 Members of the Machachia tribe are still accused by Zenten Brigades to be loyal to the Gaddafi regime. For their part, the Machachia accuse the Zenten brigades to bomb unnecessarily and use of chemical weapons (gas). Tripoli, July 2012. Kalifa Kaabour was the best boxer in the country. 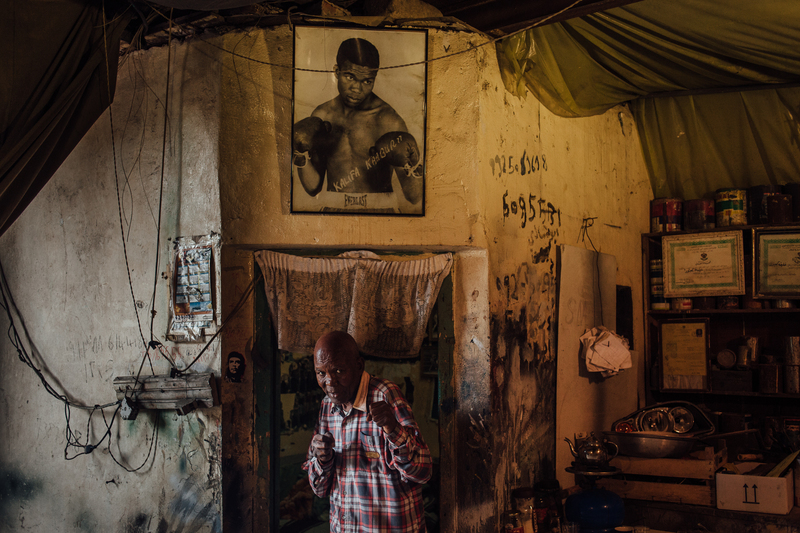 He has won every national titles (featherweight) from 1965 to 1979, when Muammar Gaddafi prohibited the practice of boxing. Having become mechanic, he can now again teach his art to young Tripolitan. Tripoli, July 2012. 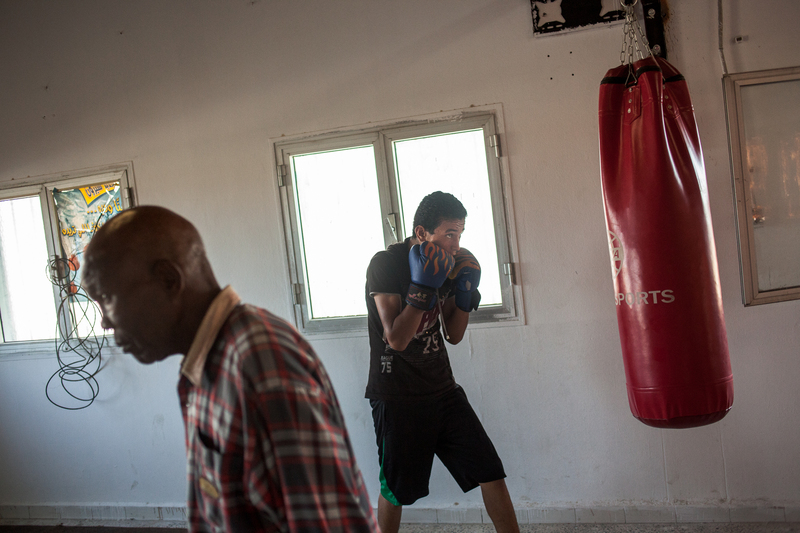 Prohibited since 1979 by Muammar Gaddafi, boxing returns to Libya. 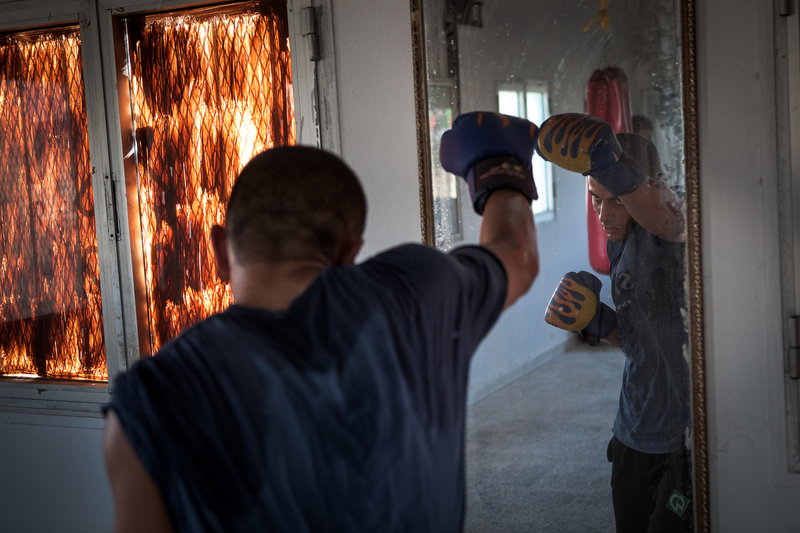 Young people of this district in the south west of Tripoli are training under the guidance of former champions.